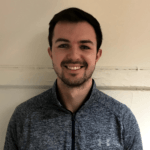 January 24, 2019 0Comments	 by Erin Bellamy MSc., Matt Carpenter MSc. and Damien Blenkinsopp MBA. Ketone supplements are any product that may enhance levels of ketones in the blood either through exogenous consumption or endogenous production. The current ketone supplements available include Ketone Esters, Ketone Salts and Capyrlic Acid Triglyceride (C8 MCT Oil) and mixed MCT Oils. You will also find supplements and foods that contain the above “active ingredients”. For instance, there are MCT powders (containing C8 MCT or mixed MCT oils). There are also snacks and bars coming out (like the Ketone Bar) which contain these also. However, the ability of these powders and snacks to increase ketones – all relies on the ketone esters, salts or MCT. So we refer to these as the ‘active ingredients’ and the experiment is focused on looking at these in their isolated/ pure form. The question we had was how do these products affect us, how long does the ketone boost last? We tested the blood ketone and glucose response to the most popular exogenous ketones products and supplements to know for sure. The aim of the study was to test both the biological and psychological effects of exogenous ketone supplements on two participants over a series of weeks. How do they impact our ketone levels? There are a number of popular ketone supplements on the market that are advertised to get you into ketosis quickly. Because of this, many people believe that they can take these supplements without changing their diet. They believe that these supplements will put them into ketosis and therefore they will get their desired results, without implementing other changes. However, this is not at all the case, and these supplements do not substitute for a ketogenic diet. What they can do is induce ‘ketosis’, just like ketogenic diets do, and even get ketones beyond what is possible on a ketogenic diet alone. As these products are popular, convenient and used for many applications from athletic performance to improving mental acuity, it’s important for people to know what these supplements are doing to their ketone levels. This was also an opportunity to compare the two Ketone Esters currently on the market, HVMN and Ketone Aid. Both of these are popular amongst endurance athletes. For the experiment, two participants took four days worth of baseline readings. These measured blood glucose and blood ketones. On the same morning each week, participants tested each ketone supplement. Seven days was left between each test as a ‘wash out period’. This made sure that there were no leftover effects from one experiment, spilling over to another. How Did We Prepare For The Experiment? Who Did It? Two participants, one male and one female took part in the experiments for all ketone supplements. Both had been following a ketogenic diet for a prolonged period of time (>2 years) and had measurable ketones at the time of testing. Had their final meal no later than 7.30pm the previous evening. Had a good amount of sleep the previous night. Took no food, drink or exercise upon waking. These controls were put in place so that the testing conditions remained as similar as possible to baseline. How Did We Do The Experiment? Once the questionnaire was complete, baseline resting blood ketone and blood glucose measurements were taken using the OnCall Dual Glucose Ketone Monitor. This was followed by the consumption of one of five ketone supplements. Readings of blood ketones and blood glucose were taken every 30 minutes after consuming the ketone supplements for a total of three hours. These were taken to determine the ketone and glucose response to the supplement. Once all readings had been taken and the experiment had ended participants resumed their day to day activities. Once all ketone supplement tests had been carried out, results were analysed using visual analysis in the form of figures. This was carried out to compare changes in blood ketone and glucose levels and to identify differences between the ketone supplements or participants. Here we saw the Ketone Aid (KE4) ketone esters to predictably increase ketone levels to a much greater magnitude than both the salts (KetoCaNa and Pruvit) and HVMN ester. Both the esters and salts had their maximal effect after 30-60 minutes. The elevation in ketones was prolonged when taking the esters compared to the ketone salts. Ketones returned to baseline after 120 minutes following salt consumption, whereas ketone elevation was maintained at 180 minutes following consumption of the ester. C8 MCT oil showed a markedly different impact on ketones, with a comparatively smaller peak effect, which also occurred later than salts and esters. The increase in ketones following C8 MCT oil also remained slightly elevated after 180 minutes. As expected, we saw that the supplements with the largest ketone increase showed a significant decrease in blood glucose levels. The KE4 and HVMN showed the largest reduction in blood glucose levels which remained lower than baseline readings even after 180 minutes. We can see that the KE4 ester reduced blood glucose levels for longer than the HVMN. This is to be expected as the KE4 contains more of the ketone Betahydroxybutyrate (BHB) than the HVMN ester. Person 1 showed a typical response to the ketone esters, with almost identical patterns, and KE4 higher due to the increased BHB content. In addition, by 120 minutes, ketones were lower following ketone salt ingestion than C8 MCT oil, suggesting that in this individual, C8 MCT oil provided a more effective way to prolong the ketone increase. Person 2 showed a slightly different pattern in which the KE4 ester peaked at 100 minutes. This is approximately 40 minutes later than Person 1. KE4 levels, as predicted, were higher than the HVMN ester due to the extra BHB in the standard dose. Person 2, maintained ketone levels for the Pruvit Keto Max longer than Person 1. Looking further into the data, we looked at the individual responses of the two subjects used for the experiment. We can see the response of ketone levels between KE4 and HVMN were similar, with higher ketones following KE4 ingestion. This was expected as the KE4 ester contains 5g more BHB than the HVMN ester per serving. 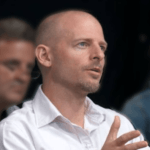 Does the increase in ketone levels differ between ketone supplements? Although interesting, few people require or desire ketone increases of greater than 4mmol. If you are looking to boost your ketones into the lower therapeutic range of around 2mmol, perhaps you are wondering which supplement you should consume. Should you be taking Ketone Esters or can you get to your desired level with C8 MCT oil or Ketone Salts alone? Taking the previous experiment results into account, our participants matched four ketone supplements by the amount of product predicted to be required to increase ketone levels into the therapeutic range of 2-4mmol. The experiment method remained the same as the previous test but the dosage of the supplements was adjusted, see the figure below. Here we saw ketones increase to a similar extent using KE4, HVMN and KetoCaNa, although the increase using KetoCaNa remained slightly elevated between 60 and 150 minutes compared to the esters. The C8 MCT oil did not increase ketones to the same extent as the other products, however as expected with C8 MCT oil, ketones remained elevated beyond the salts and esters. With regards to palatability, taking a ketone ester was a much easier way to increase ketones to above 2mmol compared to the salts, which were difficult to consume at the quantity required. Here we see a negligible increase when increasing C8 MCT oil from 18ml to 50ml, and a slightly greater increase (although not linear) when doubling the KetoCaNa dose. The Ketone Esters in comparison responded much more dramatically to the increased dose. Although it’s important to note that the difference in ester consumption was more dramatic that KetoCaNa (10g BHB used in both ester small dose trials when full doses were 25g BHB (HVMN) and 30g BHB (KE4). This clearly shows the power of ketone esters in increasing ketones into ranges that other ketone supplements currently cannot do without the issues of a heavy salt load, poor taste and poor tolerability. Saying that, as shown in a previous section, individual responses are likely to vary considerably, which highlights the importance of self-experimentation in therapeutic scenarios. Both esters and salts are known for being expensive. The cost breakdown below shows the price per serving we used to increase our ketones, in almost identical fashion, comparing KE4, HVMN and KetoCaNa. C8 MCT Oil* 18ml $1.06 Ketone increase had an upper limit for C8 Oil in our tests. In our tests adding higher doses of C8 MCT oil didn’t attain 1 Mmol increase (the peak seen was 0.7 Mmol). – Prices used from product owner websites in U.S. (last updated February 2019). It’s important to note that smaller ester doses can be taken, for example, as little as 10g BHB can be used to still get a ketone increase, with this reducing the price per serving of the esters. In addition, whilst the salts were a cheaper option for this 2mmol range, the poor tolerability may make ketone esters a more viable option for those looking to increase ketones >2mmol. Compared to the other products, C8 MCT oil could not increase ketones to the same effect, but for those looking for a prolonged, and smaller ketone increase, C8 MCT oil may be the most cost effective and practical option. Smaller doses of C8 MCT oil have a similar ketone effect, shown in the first test with 18ml increasing ketones to a similar degree as the 50ml (peak increase of 0.55mmol at a cost per serving of $0.70). A wide selection of ketone supplements and products were tested as full doses as well as adjusted measures. In follow up testing, ketone esters were matched for BHB (10g), whereas 23.4g BHB was used in the form of ketone salts, meaning 11.7g D BHB, which is the usable form of BHB, matching for D BHB would offer an interesting comparison of salts and esters. Follow up studies may track the consumption of these supplements with a continuous glucose monitor to note any changes that the participants may have missed during these experiments. Future studies may also research the effects of an exercise protocol on ketone levels when consuming the ketone esters. 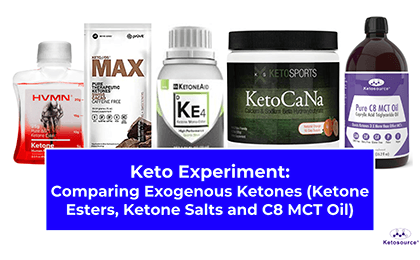 Testing these ketone supplements showed the anticipated result of considerably greater ketone increases with ketone esters compared to salts and C8 MCT oil, as well as showing peak ketone levels at 30-60 minutes for exogenous ketones compared to C8 MCT oil, which peaked at 120 minutes. In searching for a dose to see a smaller increase, the ketone esters increased ketones when using just 10ml. Although this still cost upwards of $12 a serving, using smaller doses may still offer a way to boost ketones, above normal values. Using ketone salts to increase ketones up to therapeutic ranges was more cost effective, but barely palatable. Depending on the person and their situation, they may not need so much salt to increase ketones to certain ranges, but at least for our participants, they won’t be using 38g KetoCaNa again. Where Can I Buy Ketone Salts or Esters? Neither ketone esters nor salts are not yet available in the UK. The reason is that they haven’t passed a safety assessment yet. We gave an overview of this here. All of the ketone supplements tested resulted in an increase in ketones for a temporary time period. Rapid 3-Hour Windows: Ketone esters and ketone salts rapidly increase ketones within 30 minutes. The effects last for a ~3 hour period. Slow 5-Hour Window: C8 MCT oil increases ketones more slowly. However, the ketone increase lasts for a more prolonged period of ~5 hours (see C8 MCT Oil research review covering this). What Does this Say About When to Use Which Supplement? This is a complex question that requires further investigation into the different applications. However, we have three hypotheses to start with based on these results. For higher ketone boosting needs: If you are looking to boost ketones into the therapeutic range of 2-4mmol, it is more cost effective to take KetoCaNa (Ketone Salts). But a more gut tolerable option would be a Ketone Ester – at a greater price. Both are able to boost ketones enough to meet this target. For lower ketone boosting needs: If you are looking for less than a 1 mmol boost in ketones, the most cost effective and convenient (longer duration) approach is via C8 MCT oil. This may be most relevant to A) People not on ketogenic diets who want some of the ‘satiation benefits’ of ketosis, and B) People on ketogenic diets who already have raised ketones and only want a small additional boost (e.g. you’re at 1 or 2 mmol, and want to increase to 2 or 3 mmol respectively). QUESTIONS: Have you been taking Ketone Supplements or have you tried Ketone Esters? What would you like us to test next? Let us know by adding to them in the comments. Myette‐Côté, É., Neudorf, H., Rafiei, H., Clarke, K., & Little, J. P. (2018).Prior ingestion of exogenous ketone monoester attenuates the glycaemic response to an oral glucose tolerance test in healthy young individuals. The Journal of physiology, 596(8), 1385-1395.